Chinese bakery products (Chinese: 中式糕點; pinyin: zhōng shì gāo diǎn; literally: "Chinese style cakes and snacks" or Chinese: 唐餅; pinyin: táng bǐng; literally: "Tang-style baked goods") consist of pastries, cakes, snacks, and desserts of largely Chinese origin, though some are derived from Western baked goods. Some of the most common Chinese bakery products include mooncakes, sun cakes (Beijing and Taiwan varieties), egg tarts, and wife cakes. The Chinese bakeries that produce these products are present in countries of Chinese ethnicity, and across the world in Chinatowns. The establishments may also serve tea, coffee, and other drinks. There are regional differences in cities with large Chinese presences, particularly those in Asia like Singapore, Kuala Lumpur, Penang, Ipoh, Jakarta, Manila and Bangkok. 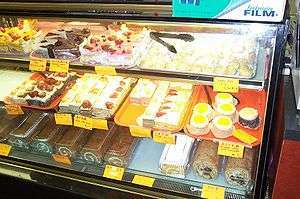 Bakery fillings especially may be influenced by Indonesia, Malaysia, the Philippines, or Thailand. In North America, the largest Chinatowns, such as San Francisco, Vancouver, New York, and Toronto, have the widest range of offerings, including influences from France, Italy, Japan, and Mexico. 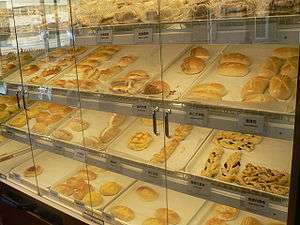 There are also large overlaps in the products sold at Hong Kong style and Taiwan style baked goods; there nevertheless remain significant differences between these two major types. For instance, bread cake and pineapple tart were developed in Taiwan-style bakeries, while the cocktail bun is a Hong Kong style product. Hong Kong bakeries have more western influence due to the 150 years of British rule that ended in 1997, and the nearby presence of the former Portuguese colony of Macau. Taiwan style bakeries may have more influence from the Japanese bakery or Korean bakery styles. Some bakeries also offer small snacks traditionally associated with dim sum cuisine. There is considerable overlap between these categories. Some types of steamed or baked buns have a very similar appearance, making it difficult to determine what they have been filled with. Informal de facto standards have developed for indicating the filling by some external mark on the buns, such as a colored dot or a sprinkling of a few sesame seeds. Unless otherwise indicated, most of the following foods are baked. Some foods are steamed, boiled, deep-fried, pan-fried, or do not require further cooking at all. Almond biscuit — Golden, delicate cookie with a light almond taste. Beef bun — Usually filled with ground beef, sometimes flavored with curry. Sometimes sprinkled with black sesame or poppy seeds. Cha siu bao — Steamed or baked bun, filled with roast pork and optionally, sweet onions. Sometimes indicated by a red dot. Chicken bun — Usually filled with shredded chicken and black mushroom slivers. Sometimes sprinkled with a few white sesame seeds. Cocktail bun — Usually filled with a sweet shredded coconut paste. Mantou — Plain, slightly sweet, steamed wheat flour yeast buns (unfilled); the traditional basis for Chinese steamed buns (baozi) with fillings. Mooncake — Traditional variations are heavy lotus seed paste filled pastry, sometimes with 1-2 egg yolks in its centre. Modern variations have altered both the pastry crust and filling for more variety. These are specially featured at the Mid-Autumn Festival, but may be available year-round. Nuomici — Sweet glutinous rice dumpling with different fillings such as sweet red bean paste, black sesame paste, and peanuts. Paper wrapped cake — Spongy and light, these are plain chiffon cakes wrapped in paper. Sometimes simply called sponge cake. Pineapple bun — Does not contain pineapples, but derived its name from the "pineapple-like" criss-crossed scored appearance of the top surface, which is a tender crispy, sweet, golden crust. The pineapple bun may be filled with custard or red bean paste. Rousong bun or "pork fu" bun — Dried fried fluffy meat fibers in a bun, sometimes with whipped cream. Sausage bun, also called "hot dog bun" — Steamed or baked bun, always includes a piece of sausage or hot dog. Taro bun — Bun filled with sweet taro paste. Sometimes indicated by a few sliced almonds on top. White sugar sponge cake — Steamed cake made with sweetened rice flour. Wife cake — Round flaky pastry with a translucent white winter melon paste centre. The biggest influence of the West on Chinese "baking" was the more widespread introduction of the oven. Most traditional Chinese foods were steamed, boiled or fried in a wok. For example, a "bao" currently means a bun (steamed or baked) as found in a bakery, but to the Chinese from the northern regions of China it still mostly means a steamed bun. Some Western-influenced baked goods are essentially identical to their Western counterparts, whereas others differ subtly (for example, by being less sweet). The items listed here are often found in Chinese bakeries, in at least some parts of the world. Cream bun — Usually elliptical shaped yeast bun, filled with whipped cream or butter, sprinkled with shredded dried coconut. Cream horn — Long tapered cone of puff pastry, filled with whipped cream, and sometimes fruit or jam. Egg tart — Delicate pastry tart with a lightly sweet golden egg custard filling. It was probably influenced by the Portuguese tart pastels de nata. Napoleon — Layers of puff pastry and creamy filling or jam. Swiss roll — Rolls made just like a Portuguese roll torta. The creamy layer may be sweetened cream, chocolate, pear, or lemon paste. Bubble tea (Boba): Large tapioca pearls are served in tea with milk. Coffee: usually served with light cream. Milk tea: black tea sweetened with sweet evaporated milk. Yuanyang: a blend of tea and coffee, popular in Hong Kong. ↑ Hsiung, Deh-Ta. Simonds, Nina. Lowe, Jason. (2005). The food of China: a journey for food lovers. Bay Books. ISBN 978-0-681-02584-4. p24. ↑ Chowtime. "Chowtime." Egg tart. Retrieved on 2009-03-20. 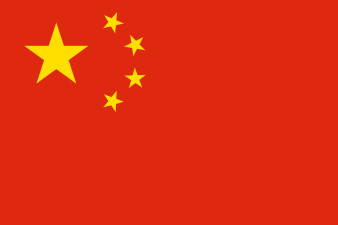 Wikimedia Commons has media related to Chinese bakery products. Lee, Tara (2008-06-05). "Where east meets bakery sweets". Georgia Straight. Retrieved 2009-03-20. Ng, Irene (2008-03-05). "Egg Tarts and Beyond". Taste T.O. Retrieved 2009-03-20.